The record breaking success of 2018 MMFF entry “Fantastica”proves that “It’s Showtime” and “GGV” host Vice Ganda is truly unkabogable. The country’s most phenomenal star is known for her annual box-office releases which include “The Amazing Praybeyt Benjamin” (2011), “Sisterakas” (2013), “Girl, Boy, Bakla, Tomboy” (2014), “Beauty and the Bestie” (2015), and “Gandarrapiddo The Revenger Squad” (2017). Her secret to keeping her “madlang” audience entertained everyday? But of course, FRONTROW’s LUXXE Protect (Pure Grapeseed Extract) energizing supplement! And she can’t deny that she’s loving that bright and healthy glow from daily intake of LUXXE White Enhanced Glutathione. One of South Korea’s most loved girl groups, Momoland, hit the Philippine shores with a BAAM as the newest addition to the FRONTROW Believers family. The “Bboom Bboom” and “BAAM” hit makers and FRONTROW share the same characteristics - both have unique and irresistible charms that make them iconic magnets to sweet success. The World’s Undefeated and most dominant athlete in any sport (with a 50-0 track record in boxing) shares the same beliefs as the Philippines’ health and beauty leader FRONTROW. The athlete deeply relates to FRONTROW’s humble beginnings. Apart from sharing the same views in business, being a successful and an active entrepreneur himself, Mayweather also shares a similar story with FRONTROW and its people as he started from the very bottom and worked his way up to becoming #TheBestEver. FRONTROW and MAYWEATHER – a match to watch out for! The reigning Miss Universe and South African model Demi-Leigh stands out not only because of her stunning beauty but also because of her fearless nature and genuine warmth. Truly a beaming ray of sunshine, this beauty queen keeps that energetic smile and glow (despite her overwhelming day-to-day schedule) with the help of FRONTROW’s anti-aging LUXXE Renew 8-Berry Extract Supplement and energizing LUXXE Protect Pure Grapeseed Extract. Crowned in the Philippines in 2016, this country and the Filipinos have a very special place in the heart of the French Miss Universe Mittenaere. Hence her support for FRONTROW who provides a life-changing opportunity for aspiring entrepreneurs in the Philippines and all over the Universe. Miss Universe 2015 and “My Perfect You” star Pia Wurtzbach is certainly a perfect Miss Universe as she continues her advocacies like serving as the UNAIDS Goodwill Ambassador for Asia-Pacific. A true Filipino pride, Pia shares the same views as FRONTROW in uplifting the Filipino people by providing them lasting career opportunities. Our present-day “King of Hearts” Daniel, who is the male half of the country’s most endeared #KathNiel love team, is a multi-awarded young actor and recording artist. He has starred in the Philippines’ most popular seryes, making his name as the rich and arrogant Gino in “Princess and I”. He also wowed his countless fans as the mysterious vampire Tristan in ABS-CBN’s recent prime-time hit “La Luna Sangre”. Apart from his lead appearances in films like “She’s Dating the Gangster”, “Barcelona: A Love Untold” and “Can’t Help Falling in Love”, this “Teen King” also released numerous albums and starred in several concerts causing a flood of fans to fall heads over heels in love. 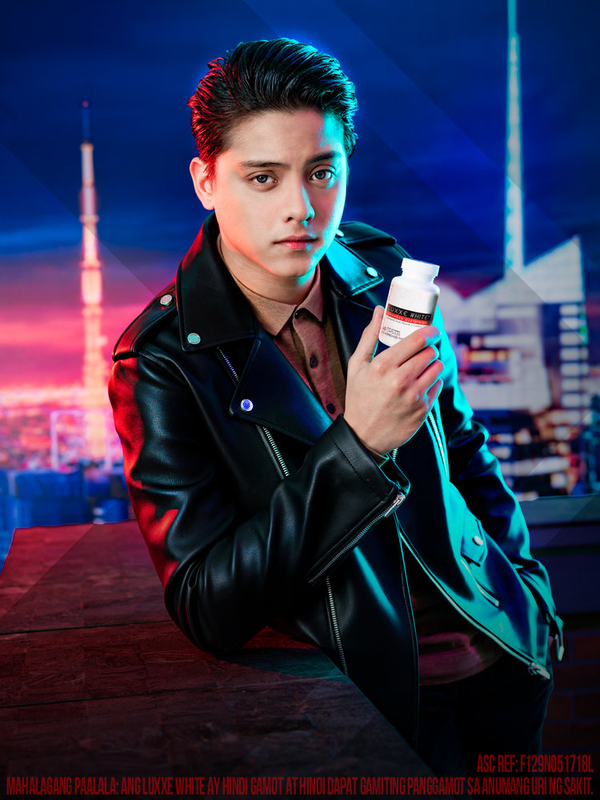 Male heart throb Daniel stays healthy, fit and exceedingly attractive with the help of master anti-oxidant LUXXE White Enhanced Glutathione by FRONTROW. Our present-day “Queen of Hearts”, who happens to be the female counterpart of the #KathNiel tandem, stole the hearts of millions through her touching portrayals in ABS-CBN prime-time seryes and hit movies. Commonly referred to as the “Teen Queen” until very recently, Kathryn has raked numerous roles as a child star and as she moved forward. With the role Mara in the modern-day remake of the soap opera “Mara Clara” as her claim to fame, the young celebrity has proven her versatility and talent in a variety of lead roles - from the long lost Princess Mikay in “Princess and I” to the werewolf Malia in “La Luna Sangre”. We’ve also seen much of Kathryn as the lead actress in films like “She’s Dating the Gangster”, “Barcelona: A Love Untold” and “Can’t Help Falling in Love”, to name a few. Coming from a family of actors, Raymond Gutierrez decided to take a different path from the rest of the bunch and chose to focus his attention on hosting, writing and events. He, indeed made a name in his chosen industry and is known to many as a full-pledged socialite. Raymond, who frequently graces the society pages and who frequently pops up on our social media feeds, gave us all a huge huge shock by his recent weight loss of sixty-five pounds in only 90-days! Raymond, the ultimate fitness inspiration of today, has further intensified his fitness routine and fat burning capacity through the help of a newfound perfect fitness partner – LUXXE Slim L-Carnitine and Green Tea Extract Supplement. An “It Girl” for a reason and for a cause, Solenn Heussaff is really all that and even more. This versatile, all-around beauty is both a fitness and life inspiration. She made her name as a Professional Make-Up Artist before traversing into show business, where she now has certainly found her place. Solenn has proven her natural talent in acting as she appeared in several films and GMA’s Prime Time Hit Encantadia. All this happened while she continued to pursue her love for painting, fitness and cooking. A certified ACE of all trades, we also saw Solenn in “Party Pilipinas” where she was able to showcase her singing and dancing skills. There is definitely no stopping for Solenn who is now shooting action-packed scenes for Kapuso serye Alyas Robinhood 2, Regal Films’ My 2 Mommies and FRONTROW Entertainment’s Misterio de la Noche. With all that’s going for her, it really is perfect timing that Solenn has found the perfect fitness partner which keeps her energized - LUXXE Slim L-Carnitine and Green Tea Extract Supplement. At quite a young age, we have seen International Car Racer Marlon Stockinger in a multitude of car racing competitions such as GP3 and Formula Renault. He has raised the Philippine flag not only because of his presence in the said races, but also because of the number of championships he has won. 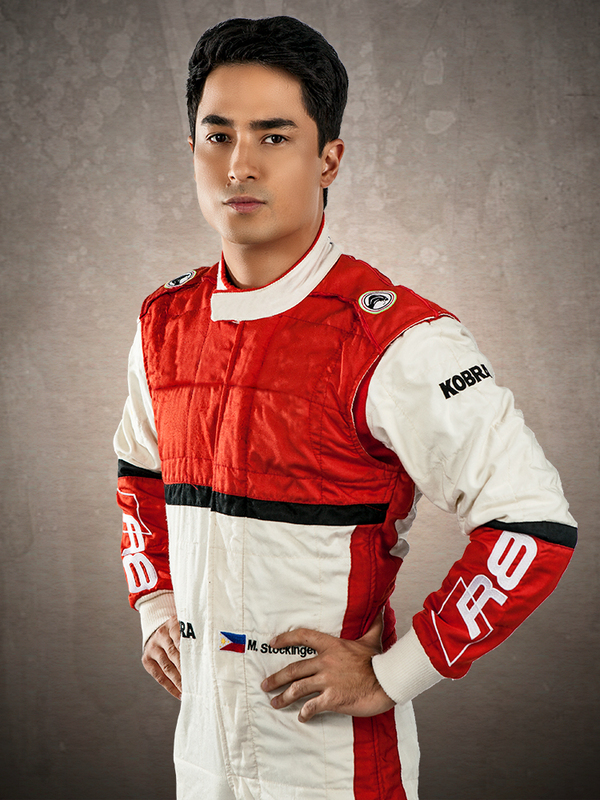 Indeed, a true Filipino Pride, Marlon Stockinger speeds through the race track with the help of FRONTROW’s LUXXE health supplements. The young and fresh-faced Star Magic talent who we recently saw at prime time serye Ang Probinsyano does not only take after his sister’s athleticism and good looks. Just like Michelle Gumabao, Marco Gumabao chooses to soar high and live the FRONTROW life. Setting foot in showbiz while he was still in school, Marco continues to shine in front of the camera and now also enjoys a buff physique with the help of FRONTROW’s LUXXE Health and Beauty products. Good looks, good moves and a good heart led Kit Cunanan to triumph at That’s My Tomboy search in a popular noontime show. Representing the lesbian community as the Grand Winner of this unforgettable search, Kit remains to be a good role model and an ambassador of the LGBT community. Recently recognized as a “Celebrity-Entrepreneur Trailblazer”, we also see Kit Cunanan in an entrepreneurial light as a promising and aggressive FRONTROW distributor. Kit Cunanan is a true believer of LUXXE White Enhanced Glutathione. YouTube sensation the Chicser are best known for their killer dance moves and for making girls hearts beat a hundred times faster. The combination of their drop dead gorgeous looks and undisputable talent indeed justify their overwhelming fame on social media. You will surely have the time of your life by watching how the Chicser live their FRONTROW life, but these young heart throbs are not just all about fun. At a very young age, each member of the Chicser was bestowed a “Celebrity-Entrepreneur Trailblazer” award for their extraordinary success in mixing business with the glitz and glam of showbiz. Owy, Oliver, Clarence and Ully are all true believers of LUXXE White Enhanced Glutathione and LUXXE Protect Pure Grapeseed Extract. Clarence, on the other hand, also thanks LUXXE Slim L-Carnitine and Green Tea Extract for his massive weight loss and, current, fit physique.